Peres was pivotal in convincing then Prime Minister Yitzhak Rabin (not pictured) to negotiate the Oslo Accords with Palestinian Authority chairman Yasser Arafat. The death of Shimon Peres marks the end of a generation; he is the last of the pantheon of Israel’s founders, visionaries, and pragmatists that included Ben-Gurion, Rabin, Begin, and Sharon. Reverence paid to Peres rebuts the anti-Israel canard that being a “Zionist,” supporting Israel’s existence, is limited to those who affirm a Likud-flavored diplomacy. The people of Israel world-wide equally bestow honor upon patriarchs and matriarchs Likud and Labor, hawks and doves alike. Peres was a visionary, a leader shaped by Theodor Herzl’s adage: “If you will it, it is no dream.” His achievements are a testimony to the limitless power of the human spirit. A stalwart proponent of unassailable Israeli security, Peres helped create Israel’s navy, championed the manufacture of weapons for self-defense, and played a pivotal in forwarding the construction of a nuclear reactor in Dimona. Yet he was also a passionate advocate of peace and one of the primary architects of the Oslo Accords, working tirelessly in tandem with President Bill Clinton’s diplomats. Despite setbacks, Peres and the Peres Peace Center never lost focus in seeking a negotiated two-state solution. As president of a religious Zionist party, Mercaz Olami, I am in awe of Peres’s commitment to Jewish peoplehood and to Judaism in its broadest sense. Peres was born near Poland’s border with Lithuania. His mother’s family was from Volozhin in Lithuania, site of the renowned Etz Chaim Yeshiva, where Peres’s father’s father studied. They were direct descendants of the yeshiva’s founder, Rabbi Chaim Volozhiner, the Gaon of Vilna’s foremost disciple. 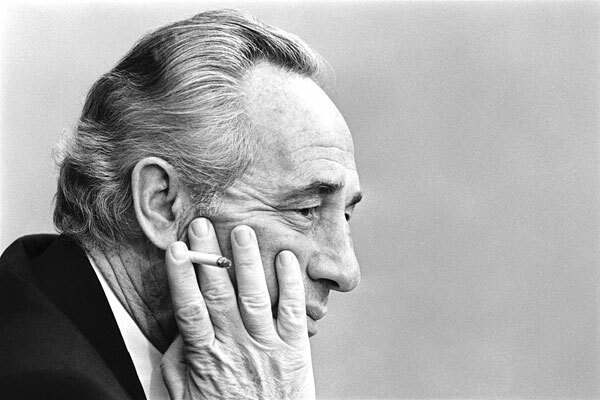 Peres’s subsequent mastery of Tanach, of yediat ha’aretz (knowledge of the land of Israel), and of the moral values embedded in sacred Jewish texts was a driving force in his life. Pluralism of spirit was a gift from his revered “zayde.” “Learning the Talmud with my grandfather…taught me at a young age that nothing in the world is one-sided. If you see only one side of an issue…you have not studied it properly [and are] blind to the multifaceted quality of life.” What a superb message for a future Israeli prime minister and president governing a uniquely diverse state! The Jewish value of “hatzolat nefashot” (the rescue of jeopardized Jews) drove Peres to pressure Prime Minister Yitzhak Rabin to authorize the Entebbe rescue operation, and convinced Peres to engage the Jewish state in the airlift of tens of thousands of Jews from Ethiopia. Peres proclaimed a Judaism that was focused upon Jews and upon the world at large. In his words, “Being Jewish means belonging to a people that is both a chosen people and a universal people.” As he encouraged his “start-up nation” to thrive domestically, so too did he press the Israeli Foreign Ministry’s efforts to bring technology to the Third World.